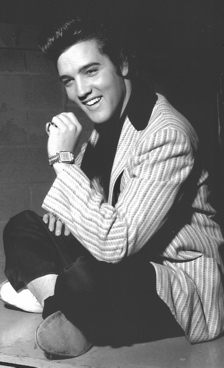 Elvis 1957—it was the pivotal year in the career of the King of Rock ’n’ Roll. His popularity solidified and his path in the entertainment business for the next decade was determined. 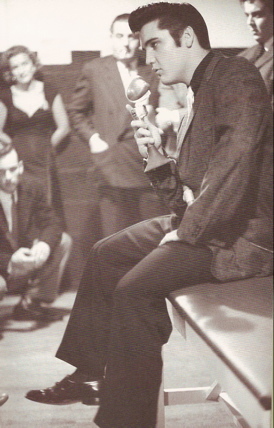 Rather than continue the TV bookings and grueling concert appearances (143 shows in 79 cities) that had propelled Elvis to the top of the entertainment world in 1956, his manager used a new set of priorities to guide Presley’s career in 1957. Colonel Parker has been vilified by Presley fans through the years for steering the star’s career in the wrong direction. However, Parker’s career-changing strategy in 1957 was based on his client’s wishes. Elvis's dream was to be a serious Hollywood actor. 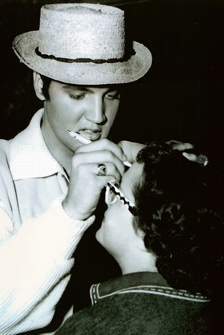 While Presley still acknowledged the thrill of live performances, he was beginning to complain about the lack of sleep and the physical dangers posed by zealous fans during his hectic road schedule. In addition, as exciting as being on stage could be, Elvis realized that his music had become meaningless during personal appearances. The exhilaration of being on stage was still there for Elvis, but the feeling of artistic accomplishment had disappeared. • Elvis ’57: The Final Fifties Tours: Alan Hanson’s book tells the story of Elvis Presley's last concerts of the 1950s before entering the army. • ElvisInfoNet Interview with Alan Hanson: In a 2007 interview, Alan Hanson reveals what he discovered while researching his book, "Elvis '57: The Final Fifties Tours"
• Graceland in 1957: Graceland as it was in 1957, when Elvis purchased the estate, built stone walls around it, remodeled it to his liking, and brought his parents to live there. • Elvis's Gold Suit: The story of the iconic but seldom worn outfit. • Elvis in Canada: Why did Canadian youngsters worship him in 1957? • Memories of Elvis in 1957: A Washington State woman recalls her memorable encounter with Elvis at the Spokane train station in 1957. 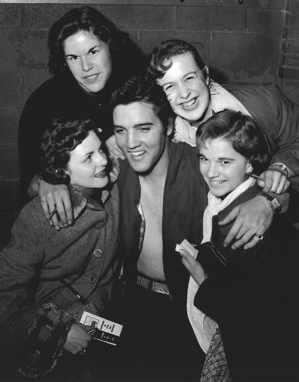 • A Rare 1957 Photo of Elvis in Spokane: A small-town girl's photo with Elvis was discovered in an antique store. • When a DJ met Elvis in 1957: Broadcaster Bob Blackburn cherished his Elvis moment. • A KNEW DJ Saw Elvis in Spokane: "Bubblehead Bob" Hough recalls his brush with the King of Rock 'n' roll. • Pistol-Packing Presley: In 1957 Elvis pulled a toy pistol on a marine during a confrontation on a Memphis street. • Memories of Elvis in Spokane: Eyewitnesses recall seeing Elvis over Labor Day Weekend in the Northwest. • Elvis in Tacoma: A creative reporter covered Elvis Presley’s 1957 show in Tacoma, Washington. 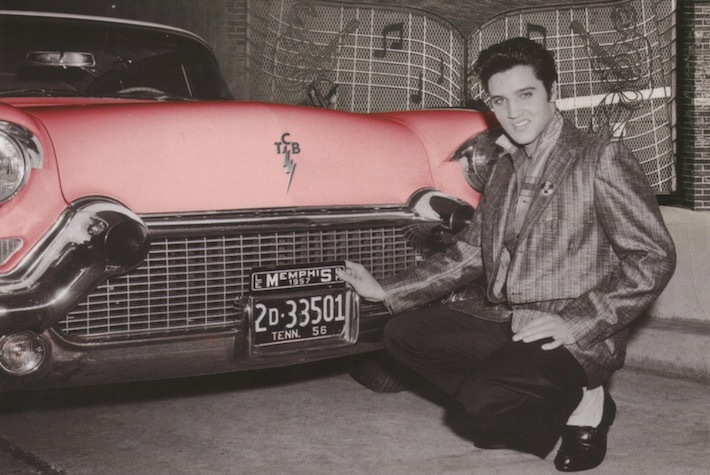 • Fans Remember Elvis in Tacoma: Fifty years later, fans recall seeing Elvis in Tacoma in 1957. • Elvis Sites in the Pacific Northwest: Revisiting Elvis's stops during his Labor Day tour of the Northwest in '57. • Sinatra on Elvis: Did Sinatra really bad mouth Elvis and his music in 1957? 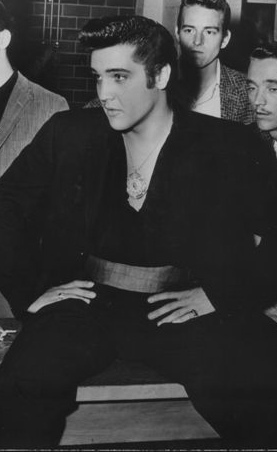 • Elvis in Vancouver, B.C. 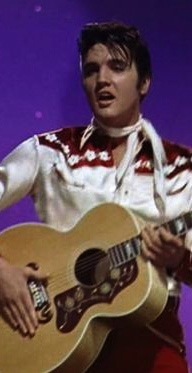 : Canadians remember Elvis's controversial 1957 show. • Red Robinson Interview: The Hall of Fame DJ recalls events at Elvis's 1957 show in Vancouver, B.C. • Elvis at Ground Level in 1957: How Elvis Conquered Teenagers in Spokane.